Perfect – the Liebherr LTM 1450-8.1 mobile crane is ideal for erecting large tower cranes. 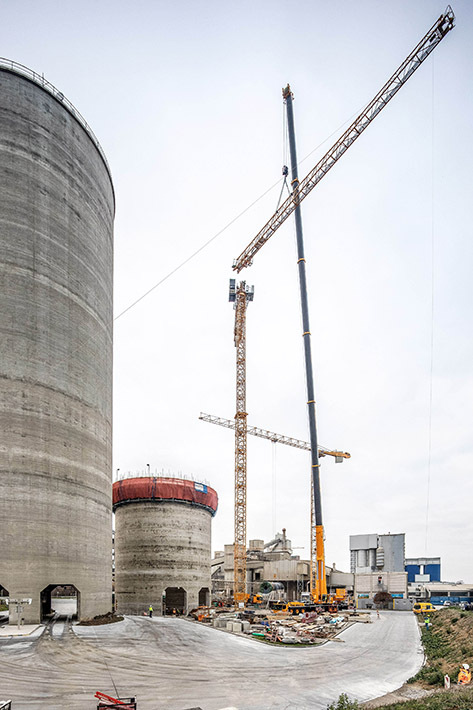 The components of a Liebherr 172 EC-B Litronic tower crane had to be hoisted to a height of 82 metres during its erection in a cement plant in Erwitte. 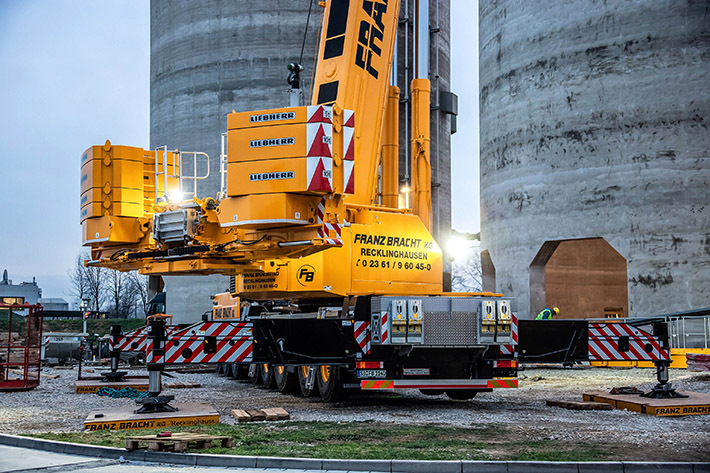 This was a perfect job for the new Liebherr LTM 1450-8.1 mobile crane owned by Franz Bracht Kran-Vermietung GmbH. 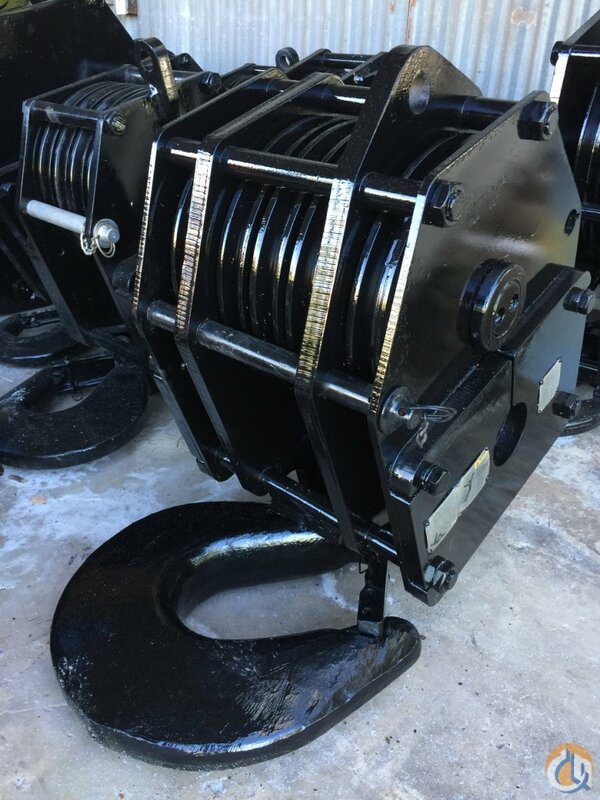 Its 85-metre telescopic boom meant that there was no need to install the otherwise standard lattice jib as an extension. The fast set-up time was an important criterion for Bracht when deciding to buy the LTM 1450-8.1. 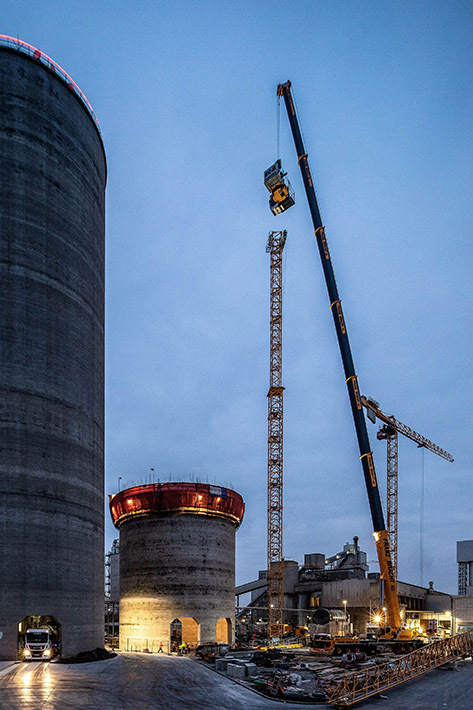 High performance – the Liebherr 450-tonne crane can hoist an impressive 20 tonnes on the fully extended 85 metre boom.